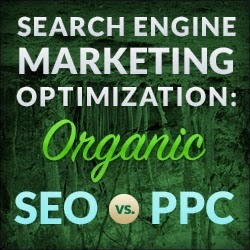 When it comes to driving traffic and acquiring leads to your website, organic SEO and PPC are both great options. However, it is a ceaseless debate in search engine marketing and optimization industry which of them is better. Does one outmatch the other? In order to answer this question, site owners must consider the possible benefits of each strategy to their businesses. As a responsible and heady website owner, you might have worked really hard just to have a progressive site that reflects the up-to-the-minute trends in web graphic design. 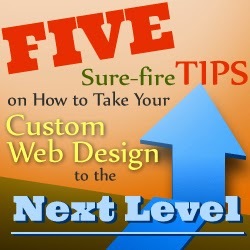 Probably, you are contented with the results, but does your website outplay your competition? More importantly, does it seize your target customer’s liking, needs, and wants? In a competitive environment like e-commerce, you need to make certain that your site stands above others, while ensuring it can provide the demands of trend- and tech-astute consumers. It may sound tedious, that’s why this article provides some unfailing ways on how to make your web design afloat amidst competition. Because of the reality that a big portion of marketing has shifted from offline to online, business enterprises today have more “plans of attack” when it comes to brand development and awareness. Nonetheless, companies should recognize how their target clientele tries to look for information about their services or products in order to make the most of their search engine marketing campaign. Posting and sharing quality content in other websites don’t only allow businesses to touch base with a large number of audience, but would also allow them to achieve higher content ranking for specific keywords in search engines. Successively, these can lead to increased brand exposure, which eventually translates to more site visitors. Today, Slideshare is one of the most popular content websites that offer nifty exposure to a business website. In fact, this is a leading platform for publishing and sharing PowerPoint contents. Consequently, provided below are some effective ways on how to draw in visitors to your website through Slideshare. 1. Make sure that your presentation is optimized – From the SEO standpoint, your every presentation should include a title, short description, and tag upon publishing. Make sure that your keywords are well distributed throughout your presentation. Moreover, allow your visitors to download your content so that Slideshare would know how many of their users are very much interested in your presentation. 2. Share and market your presentation – After publishing your content, share it to different social networking sites such as Google+, Twitter, and Facebook. However according to seo specialists, you should also market your presentation to other social media channels like Quora and LinkedIn groups because they are an expedient platform to share your content to business professionals. In addition, try to interact with your visitors by calling forth their thoughts regarding your presentation, and responding to their subsequent questions. Another beneficial thing about Slideshare is that they honor presentations with the highest volume of visitors daily through “highlighted presentations”. Slideshare highlights 16 contents every single day. Even though three of these are allotted for paid presentations, the remaining 13 slots are still a good opportunity for marketing your content for free! In order to make the most of Slideshare as part of your seo strategy, make certain to increasingly develop a deeper value for your every content-presentation. You can achieve this by constantly marketing it through the above-named platforms, sharing it at least once a week in social networking sites, and monitoring it to determine if it is effective in redirecting visitors into your main website. Understanding the world of seo is already complex, but it becomes worse with the existence of bad advices, misconceptions, and myths, as you are pelted with heaps of information that are essentially faulty. 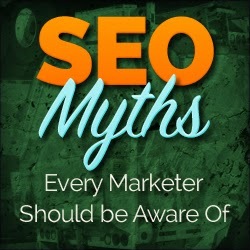 Nevertheless, similar to most incorrect conceptions in other industries, these myths only delay or even deter SEO practitioners and marketers from achieving certain tasks. Maximizing your SEO campaign requires an exhaustive understanding and exposing of some wrong notions going around today. Fundamentally, search engine marketing (SEM) denotes when a business enterprise is advertising its services or products to targeted and most suitable visitors through search engines like Yahoo!, Bing, or Google. 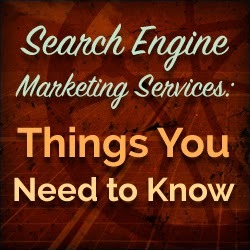 Some of the commonly used search engine marketing services today include pay-per-click (PPC), content marketing, and search engine optimization (SEO). 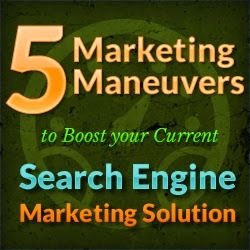 Marketing through creating quality and relevant content is an essential process of a much larger campaign that is SEO. Apart from content marketing, SEO comprises a multitude of methods in order to enhance the ranking of a site in natural and organic search engine results. Given the advancement in technology today, the term “web design” is not only confined to the design of the website. If you are creating any digital product such as website, e-book, or mobile app, then you may get tempted to instantly bring out your final product even if it doesn’t embody your very best. Hence, if you have this kind of mentality towards web design jobs, you need to be extra heedful about tiny details because they are the ones that help you make an impression online. 4. It evaluates the overall costs as well as the return of marketing investment. To begin with, content marketing and social media networking do not refer to the same thing. The latter is mainly about pushing around your friends, colleagues, family members, and other people you don’t know in person to look into your website. On one hand, content marketing pertains to the process of making substantive, relevant, and highly reliable content that naturally attracts potential business opportunities. 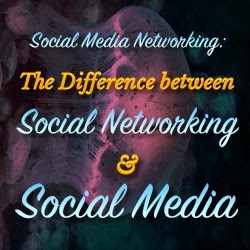 Today, the terms Social Networks and Social Media are used interchangeably. Do they mean the same thing? Of course the answer is a clear no. Today, consumers increasingly depend on their tablets, smartphones, and other electronic devices to obtain information that help them come up with a purchasing decision. This entails that if your present search engine optimization and marketing campaigns are still geared toward laptop and desktop users, your enterprise is emphatically missing something big through mobile marketing. 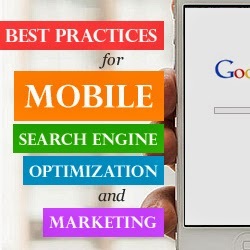 Consequently, provided below are some practices to help you achieve a flourishing mobile marketing campaign. In 2012, Google announced that according to their research, about 7 out of 10 consumers are more likely to buy a product or avail a service from a mobile-friendly website. Perhaps, this astonishing result has started a shift in website creation and development that is geared towards implementing responsive web design in order to address mobile phone and tablet visitors. However, as the population of websites that implements responsive web design increases, more and more sites also stick to the basics and fail to optimize this design further. Five of these not-so-optimized areas are listed below. 1. Copy length – Scrolling too much may get your visitors bored. So if you have a lengthy copy, you should reevaluate it now. Moreover, businesses should be able to pitch their messages in a concise manner. As much as possible, get rid of irrelevant sentences or paragraphs as they only provide poor customer engagement. 2. Advertisements and pop-ups – Although they can be a source of income, it is highly advisable to eliminate them from your mobile websites at once. Apart from the fact that they cannot be easily modified in smaller screens, they also slow down your site’s loading response. In addition, difficulty in closing them out would just cause annoyance to your visitors. 3. Images – Although the backend of web development automatically sets the images to conform to several screen sizes, it is always important to evaluate your images particularly on high-value pages such as the home page and service/product pages. 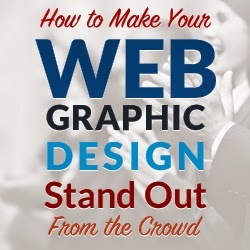 As much as possible, make your images as attractive as possible to pull visitors in. Nonetheless, it is important to limit the total number of your images since it helps load your website faster. 4. Navigation structure – Navigation is significant to having a flourishing site regardless of what the platform is. Therefore, if your native website has seamless navigation structure, make sure that your responsive sites also have the similar structure. Your responsive websites should also sport navigation menus that are finger-friendly. Also, make your social media buttons functional and large enough so they can redirect visitors to your social media channels. 5. Videos – Your web developer should be proficient in setting up flash/html 5 animation and video player so your site could stream videos with no difficulties over tablets and mobile phones. In addition, always make your videos relevant, and short and sweet. 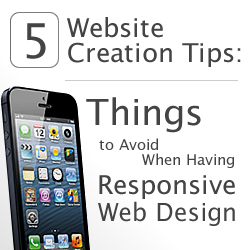 You should not stop in having a mere responsive web design. 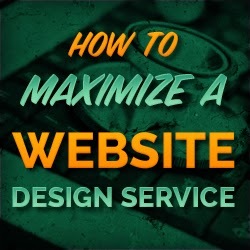 Instead, optimize its features in order to capitalize its advantages. If you need expert assistance regarding the above-mentioned areas, silver connect web design can be of huge help as they are already knowledgeable in implementing and optimizing responsive websites. Making your website rank well across multiple countries is definitely a conscientious task even for seasoned search engine optimization (SEO) practitioners around the world. In fact, there are no sufficient facts that could support the numerous opinions and ideas regarding international SEO, leaving seo specialists perplexed and frustrated. 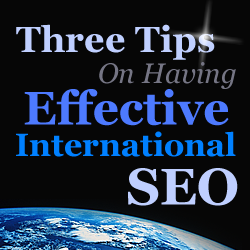 Because of these reasons, maybe now is the right time to organize some of the unfailing practices with regard to international seo. Three of these practices are listed below, along with brief details about their nature, and how they really work. 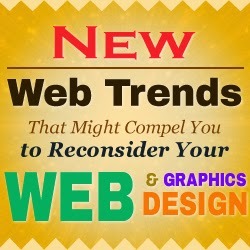 As of Q2 of 2014, there are dozens of new web trends that make enterprises and companies reconsider their current web and graphics design. These fresh approaches in design and graphics are progressively pitching the ways visitors interact with websites, how they distinguish a brand, and how they take part with the company as a whole. Some of these trends that continuously make noise in the web design industry include parallax design and the use of stories as design. In essence, parallax design uses various layers of graphics at different speeds to create an animation. As the website visitor scrolls down the page, all the images will come together, producing an animated presentation. Recently, content marketing campaigns, promotional websites, and sales pages have been using this design method to effectively engage with their visitors. Parallax design really makes a page interactive and allows enterprises to demonstrate various aspects of their services or products in a manner that absolutely leave their prospective customers in awe. If you want to establish a long-term and fruitful career as a web or graphic designer, the easiest yet the most substantial way is to not merely learn the basics, but to have a firm knowledge and understanding about them. Today, there are dozens of resources available for novice designers to help them set the right foot in. These resources are also advantageous for business website owners who are contriving to have customized design for their online channels. Nonetheless, if you really desire for web and graphic designs that can distinguish your website among others, provided below are some ways on how to take your web design a notch higher.